Recharge stressed parched skin overnight. 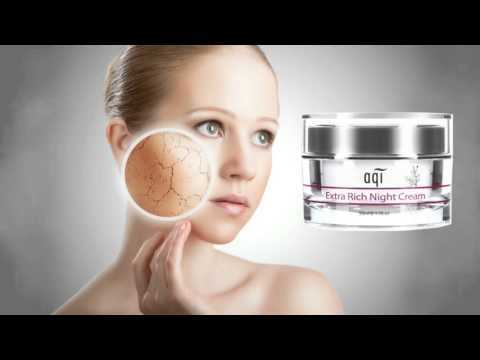 This Extra Rich Night Cream delivers intensive doses of moisture to nourish your dehydrated skin. Formulated with natural active ingredients known to provide intense hydration and help reduce the appearance of fine lines and wrinkles. Your skin will feel soft, supple and smooth. Non-greasy formula and suitable for all skin types. A concentration of Beta Glucan in this this luxurious night cream improves moisture retention, cell renewal, reduces skin sensitivity, and enhances protection. In addition Sodium Hyaluronic, the ultimate skin moisturiser, keeps collagen hydrated and healthy as well as plumping, softening and smoothing the skin. Carrot Oil which is rich in pro-Vitamin A, provides antioxidant protection from free radical damage whilst Omega-6 Ceramide contributes to the reconstruction of the skin barrier, helping restore suppleness and hydration for a more youthful and healthier skin. Beta Glucan - Improves moisture retention, cell renewal, reduces skin sensitivity, enhances protection. Aqua (Purified Water), Ethylhexyl Palmitate , Glycerin, Polyacrylamide & C13-14 Isoparaffin & Laureth-7, Caprylic/Capric Triglyceride, Cetearyl Alcohol, Polysorbate-20, Dimethicone, (Oat) Beta Glucan, Propylene Glycol, Sodium Hyaluronate, Sorbitan Stearate, Phenoxyethanol, Hydrolysed Collagen, Ubiquinone (CoQ10), Tocopheryl Acetate (Vitamin E), Caprylyl Glycol, Sodium PCA, Daucus Carota (Carrot) Oil, Citrus Aurantium Dulcis (Orange) Oil, Cedrus Atlantica (Cedar) Bark Oil, Lavandula Angustifolia (Lavender) Oil, Cymbopogon Martinii (Palmarosa) Oil, Rosa Damascena (Rose) Flower Oil, Vanilla Planifolia Fruit Oil, Allantoin, Wheat Germ Oil / Palm Oil Aminopropanediol Esters (Omega 6 Ceramide Wheat Germ), Disodium EDTA, d-Limonene, Linalool. This cream is amazing, it is so rich and creamy but soaks into skin so good. I would highly recommend this to anyone with dry skin or signs of aging. I love it is natural & not high scented. I had only recently found this product as I needed a cream that was moisturising but not heavy and fragrance free as my face was becoming extremely dry. I bought it to try and loved it straight away. It is easily absorbed and my skin was hydrated and it did not irate my skin. I was then horrified when the department store decided to no longer stock it but was happy when I rang AQI and found I could and did, purchase on their website. Love it, Love it, would highly recommend for dry sensitive skin. Love this cream. It's rich but non greasy & smells great. This night cream is absolutely amazing!